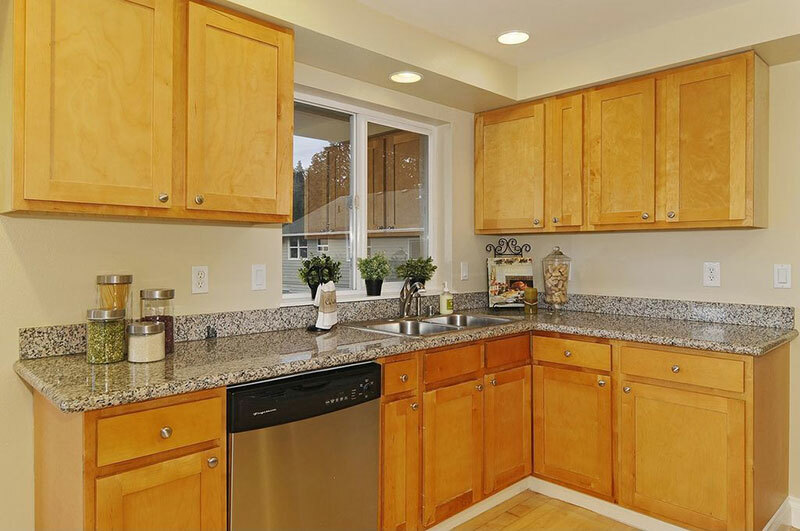 New Caledonia Granite countertops completely transform the look of any kitchen. It will transform it from something “OK,” into something that will make you go WOW! What Is New Caledonia Granite? New Caledonia granite (Aka Caledonia or Graphite Brown granite) is a material that is quarried in average quantities from several quarries in a large area of Brazil. It is a reasonably uniform granite, and any two slabs will usually look the same. It is heat resistant, scratch resistant, and stain resistant. If by some chance you are unlucky and manage to stain or damage your countertops, the heavily patterned nature of the material will hide any little accidents easily. 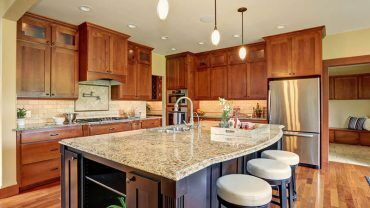 This is a durable, hardworking granite that can be used in many applications including flooring, and wall cladding – but it is undoubtedly most popular for use in the kitchen as countertops. 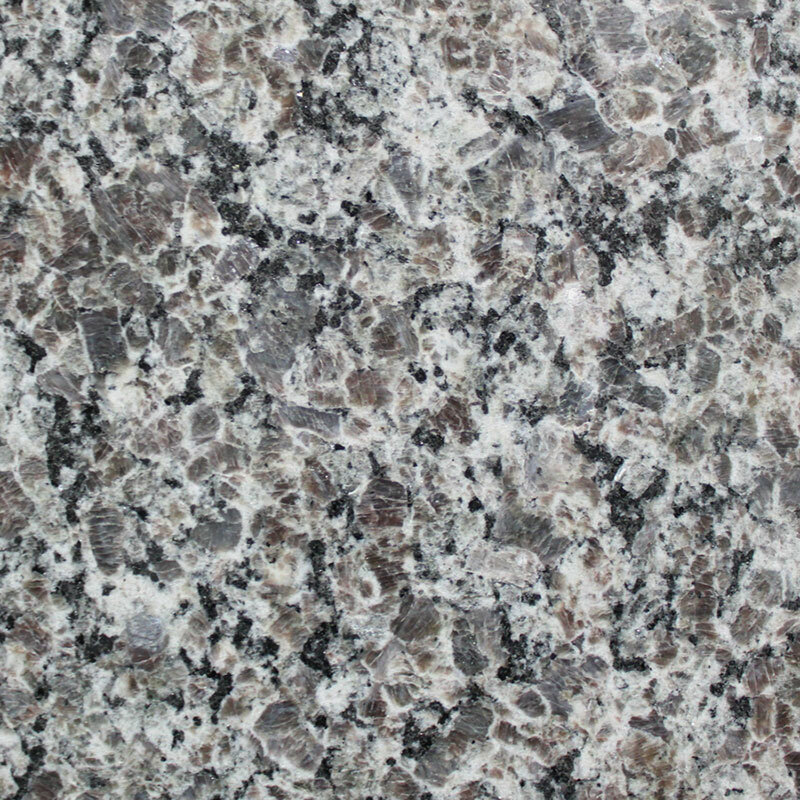 What Color Is New Caledonia Granite? Even from the furthest distance New Caledonia granite does not have a uniform appearance. Its mottled mixture of various minerals and crystals generates intrigue from the moment you lay eyes on it. From a distance, the most predominant color profile is a variation of different shades of gray, and you can usually easily identify multiple white and black patches within the stone. As you get up close and personal with the granite, you can see that the random non-uniform appearance you noticed from a distance is even more non-uniform up close. The bedrock of this granite is almost totally hidden by the complex and captivating combinations of tiny mineral deposits that are less than 0.3cm in diameter individually. The mineral deposits are found in a range of colors. Including a brown that ranges from mocha to deep dark, a jet black, and a smoky light gray. These various colors complement each other beautifully, creating a subtle, yet eye-catching effect that is impossible to ignore. 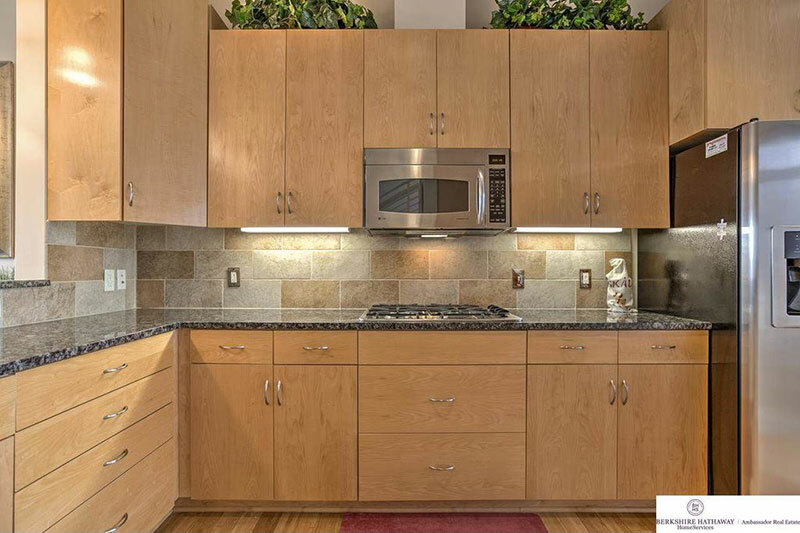 What Cabinet Colors Go Well With New Caledonia Granite? 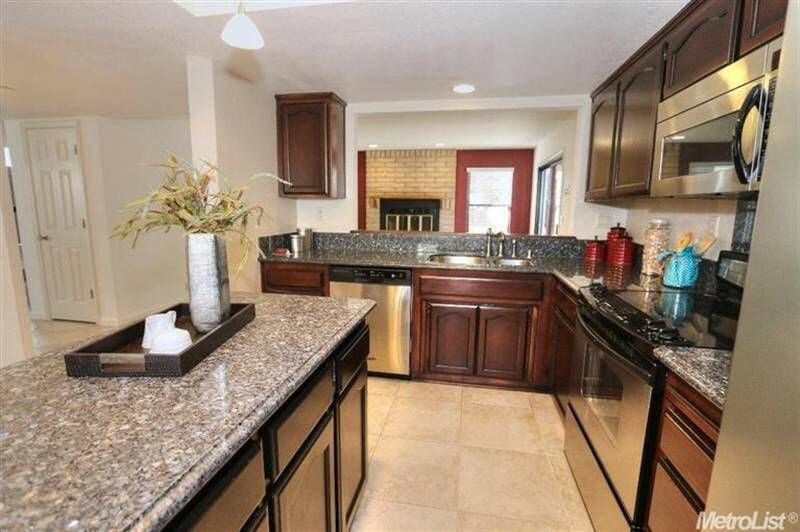 We like the combination of dark wood stained cabinets with New Caledonia Granite countertops. 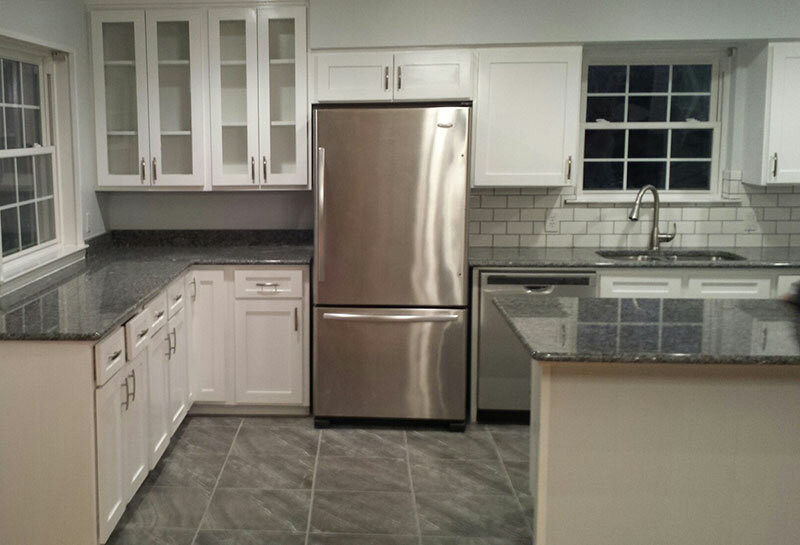 The overall gray appearance is a lovely subtle complement to the dark and strong colors of the cabinet. 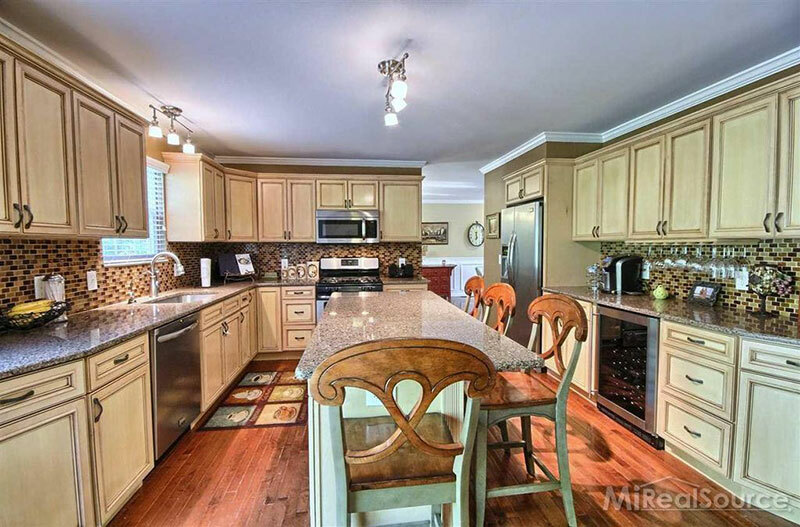 The large amounts of brown minerals that are present within the stone are brought out by the brown cabinets tying the whole kitchen together in one beautiful, subtle, yet interesting experience. 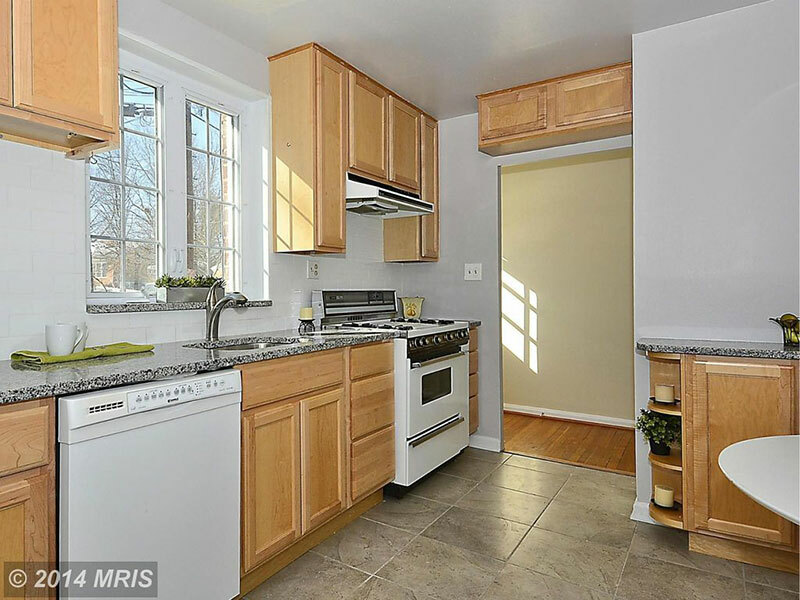 Some people like to combine this granite with white cabinets. 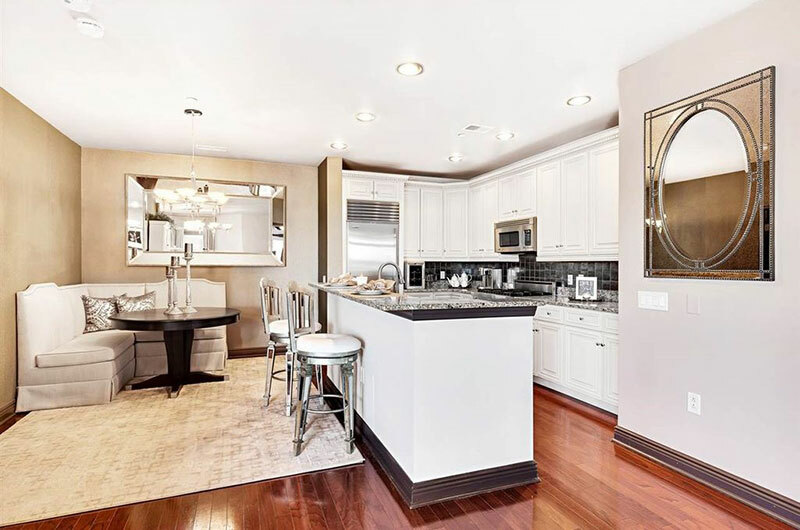 It is a nice middle ground for someone that wants to have a dark granite to combine with white cabinets (but does not want the stark contrast that is found with darker granites, or granites that are more uniform). 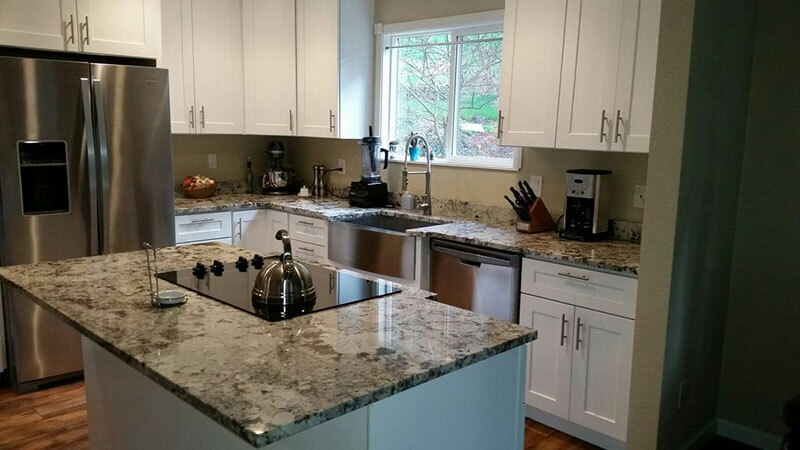 In this situation, the lighter gray minerals of the granite seemingly reach out to the white cabinets and enable them to form a coherent combination – without the stark contrast. 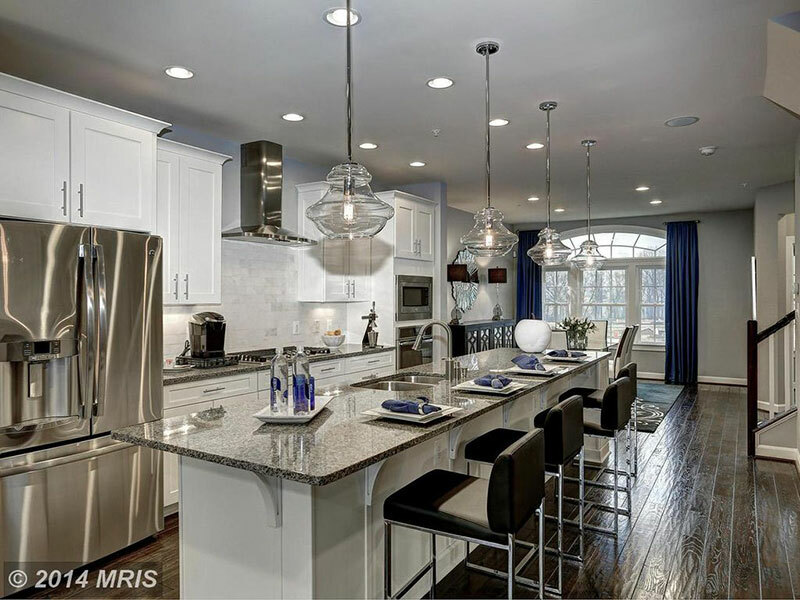 How Much Do New Caledonia Granite Countertops Cost? Because New Caledonia granite is incredibly uniform and every slab looks very similar to every other slab – there is not really much variation in cost between different slabs of New Caledonia granite. It is a mid-range granite despite being quarried in large quantities (due to the large demand for the material). 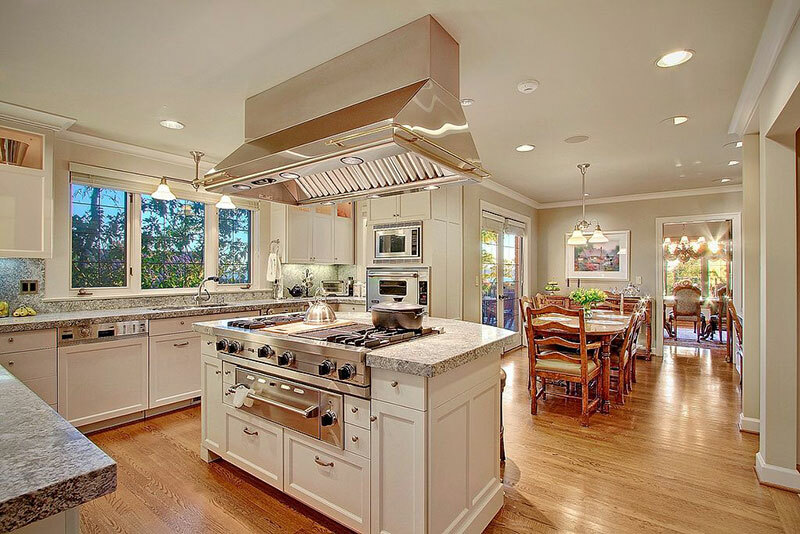 On average you will pay around $300 to $400 per square meter of a 1.5″ thick slab. Thanks to the incredibly low amount of variation between the different slabs of this granite it is safe to order it online without needing to see the actual slab you are going to have made into countertops in person. Don’t underestimate this advantage. Purchasing a product that is as expensive as granite online can amount to some significant savings. 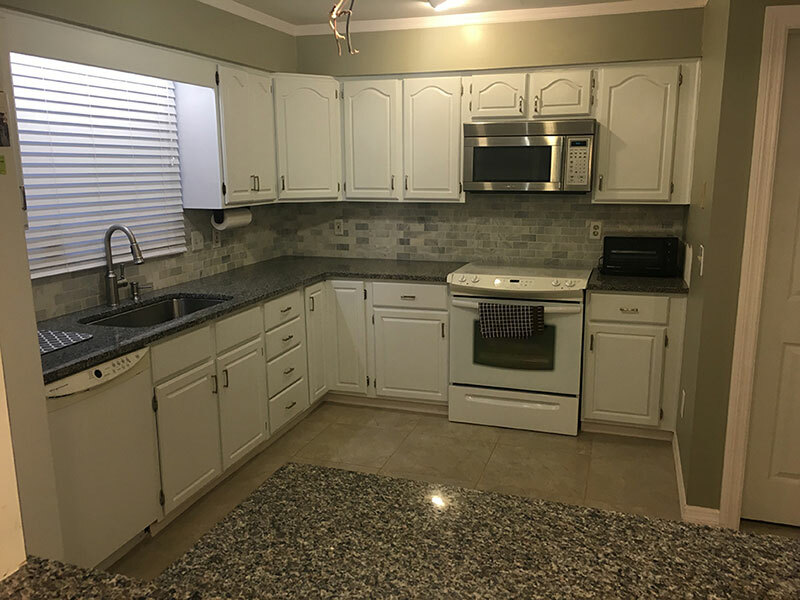 Overall this is an excellent granite for people that want a dark granite that has the natural ability to blend in with kitchen cabinets of all colors. It is durable, beautiful, and highly recommended by us.